Hip fractures are the most common fractures in older adults, and their frequency is growing as a result of an aging population. Rehabilitation methods like physical therapy are recommended after hip fractures to prevent the loss of patients’ independence, but many patients also require surgery to help them recover. Occasionally, surgery for these patients needs to be delayed, mainly because of acute medical problems and lack of operating room availability. Delayed surgery can lead to complications like pneumonia, a decline in physical function, and delayed discharge from the hospital, which is why it’s important to identify ways to reduce these complications. One possible solution is to provide physical therapy before surgery-or preoperative physical therapy-but research on this topic is limited. For this reason, a study was conducted to determine if preoperative physical therapy is effective for improving outcomes and reducing complications in older adults who have hip surgery. To conduct the study, researchers sought out data on older patients who had underwent surgery for a hip fracture from 34 hospitals. A total of 681 patients fit the necessary criteria to be included in the study, half of which were treated with preoperative physical therapy. The preoperative physical therapy program consisted of muscle-strengthening exercises that targeted the lower limbs and trunk, stretching exercises, sitting exercises and ankle movements intended to prevent a condition called deep vein thrombosis. Most programs consisted of about 20-30 minutes of physical therapy every weekday prior to surgery, and whether or not patients received it was determined based on the doctor’s personal opinion. Once these patients were identified, data regarding their outcomes after surgery was collected and analyzed. In particular, researchers were interested in patients’ Functional Independence Measure (FIM) scores, which assessed their independence in common daily activities. 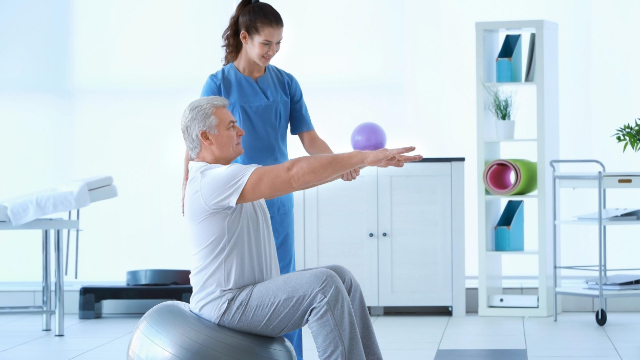 Results indicated that patients who underwent preoperative physical therapy experienced a number of benefits and better outcomes compared to those who did not. In particular, preoperative physical therapy patients reported significantly greater gains in motor FIM scores, motor FIM effectiveness and motor FIM score at discharge than the other patients. This means that these patients became significantly more independent while functioning in their daily lives due to the treatment they received. These patients were also discharged from the hospital at a faster rate compared to those who did not receive the therapy. Based on these findings, it appears that preoperative physical therapy can lead to better overall outcomes for older patients who have surgery for a hip fracture. Patients who need hip surgery should therefore be aware that physical therapy before their procedure is an option that will likely help them recover faster, and they should ask their doctor about what is available to them during this time.